I love Scripture. Dearly love it. 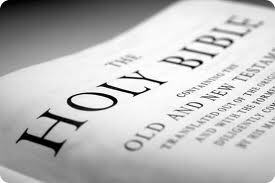 I love to read it, love to study it, love to reflect on it, love to teach it, love to hear God speak in and through it. I was drawn to this book just over 15 years ago, on that radical day of transformation when I entered into new creation in Christ. And from the beginning I have been a part of God’s people who also hold Scripture with the highest regard. In one sense, I would be somewhat baffled if one says they love Jesus and did not love Scripture. As a side caveat, and as I have mentioned before, I am no philosopher (nor historian or scientist). I function mainly in a shepherding-teaching role within the local church context. I touch somewhat deeply into theology. But my goal is to, in some way or fashion, help God’s people build a biblical framework to help them engage in their world today. Not the word of the first century or the 16th century or the 20th century. The world of today. Having said that, I think the best way to engage our world today with biblical teaching is to read it with a first century understanding (as best we can!) and then appropriate such teaching within a 21st century framework. No, this is not about letting culture dictate to us. Rather, it’s simply about letting God’s dynamic and organic revelation become real today. Moving forward in my just over 15 years of Christian life, while my love for Scripture has remained very strong, my general theological and philosophical perspective of how to engage with Scripture has gone through a paradigm shift. I’ve become less and less committed to the more modernistic, Cartesian, empirical approach to knowing truth and have begun to slowly embrace a more postmodern, practical realist approach to knowing truth. A modern approach centres everything in objectivity. Subjective truth is not a firm foundation. Objective, verifiable, evidence-based truth is firm. I mean, God is absolute truth and Scripture is his word. Thus, Scripture must be absolute, or objective, truth. Well, I’m not so sure it works out that way. I’m going to throw out a statement that might sound a shocker to many a evangelicals, but one I believe is true (though not objectively nor inerrantly true). Scripture is not objective. It is subjective. Maybe I should run and duck for cover now! When reading my italicised statement above, many problems are created for my evangelical brothers and sisters. I can hear the voices now: How can we know anything if Scripture is not objective?! God is absolute and objective as the truth, and so must his word be! Subjective truth leads to relativism! And there are, I’m sure, more questions and voices. The interesting thing is that I would have offered these same challenges not too long ago. And maybe this is a sign that I have strayed from God’s truth. But I’m not so sure that is what has happened. As I have engaged with a few writers out there – ones that are mainly evangelical, such as Kenton Sparks, Jamie Smith, Peter Rollins, Peter Enns, Scot McKnight, etc – I have begun to notice a difference in approach, a different paradigm as to approaching Scripture and truth as a whole. Again, there is the modernistic approach with the thirst for empirical, verifiable, objective truth, this being centred mainly in Scripture. Scripture is unchanging because it is God’s word and God is unchanging. And we could even quote varying passages of Scripture that seem to support this notion about Scripture. But an epistemology – how we know the things we know – that requires objective truth as the only foundation for which we can ultimately know God, at least for me, fails to take in the reality of how God has chosen to communicate to us. God has decided not to write Scripture for us. He chose a team project in which he would utilise finite, and fallen, human beings to communicate his revelation. And he chose his own finite creation and other such finite measures to compliment this revelation of himself. But it is Scripture that comes to us as God-breathed, not God-dictated (2 Tim 3:14-17). And we are told that the prophets were carried along as they prophesied, rather than given objective downloads (2 Pet 1:21). You see, a postmodern perspective allows for us to reasonably know God, especially in his word in Scripture. But we are not really ever at a place of ‘objectivity’. God is God, but Scripture is not God. God is God, but Scripture is God-breathed given in the great team project of God working through finite, and fallen, human beings. I hear the challenge now – To err is not intrinsic to being human. I’m fine with that. But let me remind you that finitude is intrinsic to being human. Even Adam, though sinless at creation, was finite (meaning he didn’t have all the objective truth). Listen, I very much believe Scripture remains a highly sufficient and reasonable revelation of who God is. But Scripture, whether in narrative or not in narrative, comes to us from finite (and subjective) human beings. This is not detrimental to Scripture and God’s revelation given in Scripture. It simply identifies the reality of what God has actually given us. God has always utilised humans to communicate his revelation – whether in written or verbal prophecy, written or verbal poetry, written or verbal narrative, whether then or even now (yes, God still speaks today). But, while God remains absolute truth, Scripture does not remain absolute. Well, I suppose it does if we desire to hold to a modernist view. But I believe this can ultimately lead to a path of seeing Scripture as God-dictated rather than God-breathed. Again, to recognise any sense of a finite (or subjective) perspective in Scripture is not, nor does it ever have to be seen, as destructive to God and his revelation in Scripture. This is the way God has chosen to reveal himself. The infinite and objective utilising the finite and subjective. Scripture has God’s thumbprint all over it. We cannot get away from such. But I don’t turn to it as a post-Enlightenment text given to prove every single point here and there about this and that topic. It’s not a systematic text in the form of a Grudem or Berkhof. It simply isn’t. But it is God’s very good and sufficient revelation of himself, ultimately in Jesus Christ and the evangel. ‘But how do you know that?’ one might ask. Like I said, we can reasonably engage with its revelation in forming reasonable and practical conclusions about it. But I can tell you this – I didn’t believe the gospel because someone proved anything objective to me (though they might have wished they could do so). Instead, I had a very subjective, yet very true and real, experience in which I met Jesus Christ and believed the evangel. That is reality. That is true. Of course, an extreme postmodernist, embracing a more anti-realist perspective, might simply emphasise that I am a product of my own culture-community, one which is predominantly white, Anglo-saxon and conservative evangelical. Therefore, I had a relative experience only defined by my community, quite different from the oriental, Buddhist woman based in Thailand. We both had very subjective experiences, real and true for us, but only for us. We can never reasonably know truth. Well, I don’t know. Not from the Cartesian, modernist mindset that can only have one’s thirst quenched by objective and absolute truth. But, again, I can practically and reasonably know God’s truth, his revelation, in Christ, the gospel, Scripture, the body of Christ, creation, the full communion of saints spanning time, etc. Nope. And I am now quite at peace with that. True, a modernist approach will also recognise that all questions will not be answered for the finite. But they still offer that, at some point in some way, all questions can be answered. Maybe. Or maybe not. I’m still leaning towards the view that we won’t know everything in the age to come, since God is that vast and incomprehensible. But maybe we will get the super-download when we meet Christ face to face or at some point into the ‘future’. I’m not sure. And so, coming back to the Bible, we can so easily, and I think wrongly, approach it as a systematic text of absolute, objective truth. Of course, most will recognise it has not been given to teach us about every topic. But still we must also remember that, what it does touch upon, at least at times, it does not fully address those issues. Much of the reasonable conclusions we come to theologically come not from Scripture alone, but from our theological and philosophical reflections after reading the text. Case in point, we read in Scripture what seems to be a clear presentation that Christ is both eternal-divine and human. How is that? Yeah, we’ve been discussing that for almost 2000 years. But it’s there. Yet, Scripture does not delve into how all that works out. It leaves two realities of tension next to one another, but does not always resolve it. To argue it does resolve all tension is, I believe, to overstep Scripture’s own teaching about itself and what we find in it. The hypostatic union and the doctrine of the incarnation were built upon Scripture’s teaching, but were not fully founded within Scripture’s teaching. I don’t see this as wrong. I simply don’t see Scripture being given to tell us about the hypostatic union. In a sense, that’s not really what a first century Jewish context would call for. Again, please don’t read me wrong. I think the systematic construct of the hypostatic union, put forth in 431 AD at the council of Ephesus, is a helpful engagement in understanding how Christ’s divinity and humanity have come together. But I very much believe that the Scripture, written almost 400 years earlier, was not dealing with such questions. And I think to tell ourselves that Scripture lays out, clarifies and communicates how this all works out is, well, to kid ourselves. It might give us A and B, but it might not always tell us how A + B = C. It might simply leave A and B together within the canon. And so, in the truth (yes, the truth) of Scripture, you will find various examples of two different statements or accounts that could create a little tension. You have the kingdom which is here, you have the kingdom which is not here. You have women being told to not speak, you have women being told to speak. You have God who does not lie, you have God sending a deceiving spirit into enemy camp. You have a God that is completely sovereign, you have humanity that is completely responsible for their actions. Oh, and you have this guy, Jesus, who was divine and human at the same time. You have God not able to die and you have the divine Son dying. You have God not able to thirst and you have the divine Son thirsting. You have God not able to be tempted and you have the divine Son being tempted. You have God not submitted to anyone and you have the divine Son submitting even himself to the Father. And I embrace each of these realities, these truths, this revelation in Scripture. But what I don’t embrace is to tell myself that Scripture actually explains all the details of how it works together, fits nice and neatly into a systematic formulation. Oh, I think it very healthy to in some form or fashion systematically engage with these tensions. We are indebted to the councils of the early centuries that did such on some of the major tenets of our faith, helping us even now so long down the road. But, while we start in Scripture, at times we do not end there. We are left to reasonably and practically engage with statements of tension that exist within the God-breathed text God has given us. Yet Scripture might not follow up in the text itself with how it all works itself out. Again, let me reiterate my love for Scripture, my love for God’s revelation and truth in Scripture. But over the past few years, I have found myself slowly stepping back from a modernist approach to truth and Scripture, and embracing a more practical realist approach within a postmodern paradigm. For some, they cannot go there. And I wouldn’t say I’m fully there, still recognising that other modernist leanings might need to fall as the unshakable kingdom shakes my own understanding of God and his truth. But I find so much more freedom, much more ‘green pastures’ to move around in, as I let go of an overt thirst to make everything fit within a verifiable and objective framework, especially in Scripture. And, in doing so, I know I stand in good company with others who are helping to pull the pendulum a bit back towards the middle. This entry was tagged Bible, evangelicalism, modernism, postmodernism, Scripture. Bookmark the permalink. I appreciate your candid honest in posting this, and I’m sure you might get some kick back. We share a love for Scripture and a love for studying it. Personally, I’ve investigated the paradigm you’re talking about here and find it wanting for theological, philosophical, and biblical reasons. But, rather than get into that, in any kind of detail, I am wondering if you’ve done much investigation of a pre-modern perspective? It seems from above the only options on the table are the modern, overly objective paradigm, and the postmodern, more subjectively nuanced paradigm. In reality, those aren’t the only options, and for the majority of the history of the church, no one held either of those paradigms. I think the value of the postmodern paradigm is that it corrects some of modernism’s excesses but it runs the risk of losing any kind of objective foundation altogether. Pre-modern, or pre-critical perspectives on Scripture don’t run that risk and are more in line with what the writers of Scripture and the early church thought about the nature of the Bible. Just some food for thought. Thanks for your courage in posting your thoughts like this! Thanks for your comment. I am somewhat aware of the pre-modern perspective. What I feel is that a postmodernism perspective (in practical realism, not anti-realism) brings us back towards that pre-modern way, but in a fresh way. So there is emphasis on the communal nature of understanding of truth, understanding truth sufficiently and reasonably as human beings, as well as the deconstruction of the overly objective and absolutist views of modernism that command typical evangelical notions of inerrancy, etc. At this point, I like these pointers. There may be some truth to the postmoden way appropriating premodernism in a fresh way, but I would see the key difference is this: a premodern view would still say Scripture is objective, but would recognize in a healthy way that we have subjective limitations in coming to that objective truth. This in turns pushes us into community for interpreting Scripture instead of autonomy. God is absolute and objective, but Scripture is not God. 🙂 You might engage with Jamie Smith’s book, Who’s Afraid of Postmodernism. His chapter on Derrida engages this issue. Absolutely (not pun intended!) Scripture is not God. However it is God’s word, which has implications for its nature. I’ve read Smith’s book (and Derrida and Focault, and Nietzsche, for that matter in po-mo philosophy class) as well as the other books in that series (Westphal’s on hermeneutics, Caputo on deconstructionism). I’ll go back and see if I look at it any differently now a few years later, but I came to the views I have on Scripture while reading many of the same books you’ve read that have led you in a different direction. To me, it really does illustrate nicely the way paradigm works in fields of study. Even though we’ve read many of the same authors, I still have numerous defeaters in my thinking that do not allow me to see the arguments for your paradigm persuasive. Were there to be authors advocating the paradigm that is common among Sparks and Enns and Smith (Christian) that defeated my defeaters, then I would change my mind. In principle, I’m open to reconsider, I just haven’t found the arguments on the other side very persuasive or cogent. There’s a lot to sift through here and I think I’m going to start putting together a journal article on the subject, both to clarify my thinking and to keep up the habit of reading both sides. You said: Absolutely (not pun intended!) Scripture is not God. However it is God’s word, which has implications for its nature. For me, this seems somewhat of a cop out. Scripture is God’s word. God is absolute and never errs. Therefore God’s word (Scripture) is absolute and never errs. c) Scripture is not God-dictated, but God-breathed. The prophets were ‘carried along’ by the Spirit, not given a download. For me, I’m not sure this creates objective absolutes in Scripture, but still truth nonetheless. d) There is a difference between error from sin and error from lack of knowledge, at least as I can tell. Pre-fall Adam could still err (because of lack of knowledge), but he did not sin. Where does that put post-fall humanity? There are others that could be considered. But those are some major ones. I think this highlights a presuppostional difference between us (maybe). I would agree with all of your issues (a-d). However, since Scripture is God’s word in human words (to use Sparks’ title), God is also in the author equation. I think this is also an implication of using an incarnational model to approach Scripture. Enns is right to see that some evangelicals are guilty of imposing a “docetic” incarnational model on Scripture where it only seems human. But on the other hand, I think Enns’ model, as least as employed in The Evolution of Adam, is docetic in the other direction: Scripture only seems divine, but is really just thoroughly human. I agree and very much fall back on the divine nature of Scripture when all by questions cannot be answered. But engaging with the epistemological and philosophical realities of it all, I tend to work within the human framework. That’s all I can do. But, again, at the end of the day, if I cannot completely conclude something, I’m ok with it and rest in Scripture being God-breathed, true and faithful because God has communicated such in Scripture. I don’t want to intrinsically tear apart Scripture’s divine and human nature, as we don’t want to with Christ. But we philosophically and theologically think about these things and, at times, it calls for us to ‘take them apart’. I agree, and it sounds like we have the same place to fall back to, and that unites us even in our disagreements. If you are no philosopher, why bring in Cartesian thought, the Enlightenment, modernism, and postmodernism? What you have done is made this a philosophical discussion. While doing so, you have taken folk such as I and presented a straw man argument about our position. You know as well as I do that I’ve not claimed that inspiration meant that God gave someone a download. You do know, however, that I’ve made a much stronger case from Scripture that God’s Word is God’s Word and thus true. That is not because of the Enlightenment or a desire for empirical verification, or whatever else one chooses to say that I seek for ( By the way, to say what motivates someone when you do not know is a form of ad hominem. I wish you would work on those things. It truly doesn’t help the discussion. ): it is about faithfulness to what has been given to us in God’s Word. It is about taking God at His Word. Regardless of human fallenness and finitude, man can still do some things right. “ScottL is a nice guy.” I just made a statement that is correct, though I am a finite and fallen person. Fallen and finite persons were used in the writing and composition of Scripture, yet inspiration means that the very words were God’s Words. That does not mean that the infinitude of God is fully revealed there, but it does mean that the perfection of God permeates the Scriptures. I find it sad that you persist in this as you do. I find it especially sad that you continue to present my position (and that of others who hold to inerrancy) inaccurately; especially when I’ve addressed these things with you in the past. I wish we could find common ground on this. Sadly when you make comments such as, “Jason – I have to agree that you are not dealing with the epistemological statements by quoting typical evangelical one-liners,” it does not bring the discussion forward. That is especially true when you consider that I responded to a somewhat sarcastic appearing one liner of your own: a one liner, I might add, that was quite the misrepresentation of my position. At this point in the discussion I see no need to continue in it. My position is clear. I think you only need to go back to my blog, search it for the terms of inerrancy and inspiration (http://pastoralmusings.com/?s=inerrancy http://pastoralmusings.com/?s=inspiration and you will see where I stand. You will also see that I’ve pretty well addressed these errors in the past. In fact, you commented on some of those posts. I’ll gladly discuss anything else with you. If you doubt the reality of the truthfulness of God and His willingness and ability to communicate with us truthfully and accurately, I’ll not discuss that further with you. It’s a waste of both of our time. We’re getting nowhere but getting frustrated with each other, and I like you too much to burn the bridge…let’s discuss something else. I suppose that many Christians don’t believe they are theologians or biblical scholars. Yet they, rightfully, engage with God’s revelation in Scripture. I now realise that philosophical epistemology and presuppositions are connected to our understanding of truth, which is found in Scripture. So I am trying to somewhat engage with it. You know as well as I do that I’ve not claimed that inspiration meant that God gave someone a download. I realise that. But, from what I can tell, I think that to argue that Scripture is absolute, rather than God alone is absolute, must somehow entail that God gave a divine download, rather than accommodate for humans to grasp something of him. Ad hominem seems more about character deficiency. You have the utmost of character and integrity. But, and you can say this doesn’t apply to you at all (kind of like nothing ever applies to Rey when I approach certain issues around continuationism), but I have heard enough arguments from people that show they have an underlying modernist epistemological approach. I think you are working from that and I think it can cause problems in engaging with the text God has actually given to us. Regardless of human fallenness and finitude, man can still do some things right. “ScottL is a nice guy.” I just made a statement that is correct, though I am a finite and fallen person. I am not negating that truth can come forth from fallen and finite people. Even objective truth could and can come forth, in some sense. But, I have to ask if God-breathed means absolutely and directly God, or from God? I have to ask if ‘carried along’ refers to an absolute objective giving of God’s revelation? Something can come from finite and fallen humanity and remain very much true. But that does not mean it has to be recognised as an objective absolute. yet inspiration means that the very words were God’s Words. This is where I might argue that Scripture does not clarify on what it means for Scripture to be from both God and man. Of course, I understand that is how you understand inspiration must work. For me, that sounds very much like dictation (or download). I think God-breathed and carried along communicate something outside of what you have posited. I’m not getting frustrated with you that much. I am not keen on your approach. I am not here to misrepresent you. You should know I don’t desire to do so, though that does not keep me from doing so. It’s just that all of your arguments I could run to Grudem’s or Geisler’s words. But they don’t satisfy. They leave me believing they have described the text they wish they had rather than the one we actually have been given. I know it sounds so much more evangelical to agree with Grudem and Geisler and others. But I have come to the place where I cannot be satisfied with such an approach. It is found wanting in my small perspective. I’m certainly no biblical scholar or philospher. In fact, most of the time reading the comments (and sometimes the posts) here, I find my knowledge of things and people mentioned quite limited. However, I have to say I am very much in about the same camp you are. I grew up with the “scripture is inherant in all points” camp, and prided (yes, I’ll admit it) in being able to “explain” all the juxtapositions found within the Bible. However, in recent years I’ve come to accept that some things in the Bible are simply not completely true. There is poetic and prophetic imagery that describes (with limited knowledge) how things in nature work (storehouses of snow, for instance, or a “home” for the sun). If these kinds of things can be used to describe nature, cannot these same kinds of things be used to describe God and how He works. And if you admit that possiblity, then you can admit that scripture is not perfect, as God is. Scripture gives us our BEST picture of God, and certainly of Christ. But it is not the be all and end all of truth. Why? Because it it was, we really wouldn’t need true faith. Faith is the assurance of things NOT KNOWN. If we can KNOW absolute truth from the word, then we wouldn’t REALLY need faith, except for faith in a book. That’s NOT the kind of faith that God is looking for, and I hope nobody would argue with me on that point. This puts to rest those who say they can’t believe in the perfection of the Bible, therefore they won’t/can’t believe in God. God is revealed in so many more ways than JUST scripture. People need to see Him in those ways as well. However, when they are looking for specific truth (doctrine), the Bible is certainly the best place to look FIRST. The Bible is good for many things. But it is NOT God, it merely reveals some of His truth. And I’m OK with that.